LG’s Rolly Keyboard for smartphones was one of the tech hits of year 2015 simply because it allowed users to type on smartphones quickly and easily and when done to roll the keyboard and then place it anywhere in a compact form. All this was coupled with a low price so it becomes clear why the Rolly Keyboard was so well accepted. A year later the Korean company has introduced the successor of Rolly Keyboard. The new device keeps pretty much the same name and this is why it is called Rolly Keyboard 2. The new keyboard shares most of the tech specs with its predecessor and comes with Bluetooth connectivity and a design that is focused on productivity and portability. Yet, there are improvements – the Rolly Keyboard 2 now has five rows of keys, instead of four, and this makes the new keyboard easier to unfold. In addition Rolly Keyboard 2 can connect to up to three devices at the same time; the older Rolly Keyboard can do this with two devices only. 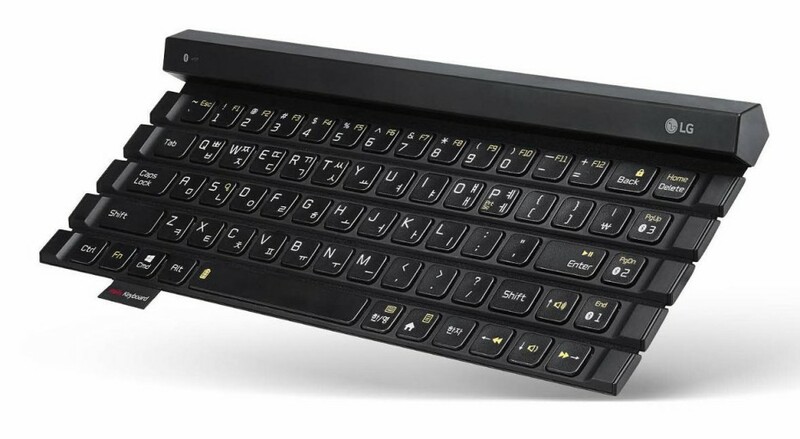 The LG Rolly Keyboard 2 will sell in South Korea for about USD 111 (129 000 Korean won) with availability on other markets expected later this year.